Find the perfect couch for your living room at Home Concepts. Shop from our selection of sofas, lounge sets and couches for sale in Melbourne with styles ranging from leather to reclining. At Home Concepts, we are dedicated to offering stylish and contemporary furniture at the right price.Get the sofa your living room needs today. 2 and 3 seater lounges dark brown leather in good condition. 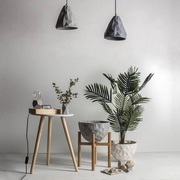 Its for free just come and pick them up..
By Living is the one-stop online destination for the highest quality designer concrete homewares and lighting products in Australia. Spanning the best of classic pieces, through to eclectic and eye-catching mid-century styles, By Living has a surprise in the store every time you visit. Browse our wide range of concrete table lamp, pendant lamp wall light and more at our online concrete therapy collection. In excellent condition . Includes innerspring mattress, pillow and some linen. Five Seated Lounge Two Recliners And Three seated Excellent condition no damage. Queen size bed with new mattress Very good condition wrought iron head and base. Solid Wood Shelves, suit any Contemporary style home. Quite heavy and open to offers. Text only. Home Concepts is the premier destination to shop for unique and contemporary furniture for the eclectic, modern lifestyle. Check out our wide selection of stylish sofas in Melbourne or browse through our exclusive furniture deals. 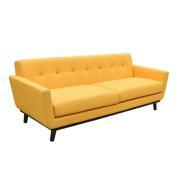 We carry a wide range of bespoke couch, corner chairs, leather sofa sets at discounted prices. At Victorian Mosaic Tiling, we strive to provide a large variety of our handmade furniture. 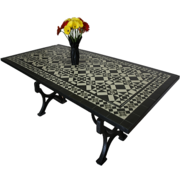 Browse our decorative mosaic tile outdoor table on our website; pair it with our mosaic iron tile table base and chairs for dining, bistro, coffee, and patio activities to fully enjoy the artistic and exotic mosaic tile table set. Furniture is a thing which plays a vital source to give you the comfort no matter whether is your residential furniture or office furniture. Everyone is focusing to pick the rear, reliable and unique thing and this consideration is no doubt a right act to do. 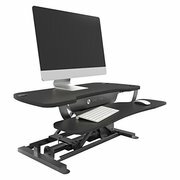 Keeping these considerations we as an Office furniture company are trying to offer a wide and massive adaptable collection of office furniture. All of our rentals are major branded appliances and equipment. There are no generic or home brand products on offer when you rent from Reliable Rentals..
Shop for high quality, stylish home furniture in Brisbane, Melbourne, Sydney and across Australia with ConnectFurniture. Choose from over 60, 000 products collection and find the perfect furniture that matches your decor. Get furniture for your bedroom, living room, dinning room, kids room etc. Feel free to contact us at enquiries@connectfurniture. 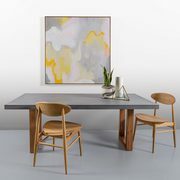 Shop for your dining room furniture online at ConnectFurniture and pick the best designer furniture piece for your room. buy dining room furniture that is high in quality and design but low in price. Get modern to contemporary dining room furniture or Scandinavian, French provincial, or industrial furniture in Brisbane, Perth, Sydney and across Australia with us. Soak in the rays of sun with outdoor lounges & lounge settings from ConnectFurniture. Pick from over 600 different outdoor lounge furniture available in various styles, materials and colors. Rejuvenate or refresh your outdoor decor with stylish and designer outdoor sofa, outdoor lounges and other outdoor furniture. 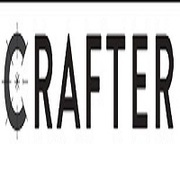 A Crafter offers quality furniture and furnishings for homes and offices. 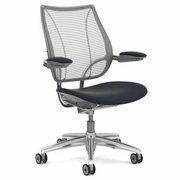 We have a range of products and styles to choose to match your office. Create your home and office space just the way you like it with Custom timber furniture of Melbourne. For more info visit our website. https://crafter.com. Timber floors have long been the pride of business, we guarantee results your happy with and take on jobs of all sizes around Melbourne. Phone: 03 9763 6373 E mail: mario@mrtimberfloors.com.au Address: Wantirna VIC 3152 Australia Website: https://mrtimberfloors.com.au/. Looking for Tile Top Tables and Dining Room Furniture Online? Add a little art to your outdoor space with our mosaic tiled top Dining room furniture. Visit Victorian Mosaic Tiling today for contemporary and modern mosaic tiled furniture pieces. Pieces with luxurious finishes, tile inlays, and even tile-top dining room tables are just some of the options available to you at our store. Are You Looking For Buy Mattress Online In Australia? Forget the hassle of trying and buying a mattress in-store - buy your new mattress online from Nicklor. With a great range of top quality, Australian-made and designed bedding at your fingertips, http://nicklor.com.au/ makes your best night’s sleep easier than ever..
Planning to buy new furniture for your cafe or restaurant? Than ConnectFurniture is your one stop solution for all the furniture requirements. You can buy all kind of cafe furniture & restaurant furniture with the help of over 12, 000 products offered by ConnectFurniture. You can scroll from largest catalog of cafe, bar, and restaurant furniture in Australia and buy your favorite piece either online or at the retailers store. Established in 1989, SA Lounge Suites had a vision of specializing in quality lounge suites, sofas and recliners for the South Australian market. Today, SA Lounge Suites is proud to be one of South Australia’s most respected furniture retailers. Our personal service, dedication to quality, and commitment to providing value for money have all attributed to our growth and success. Home Concepts is your one-stop online shop for your contemporary and modern furniture needs. We build and feature the custom-made solid timber dining tables in Melbourne to fit customer’s style, space, budget and seating requirements. Our furniture ranges include dining tables, chairs, entertainment units, sofa sets and coffee table. High Quality leather 3 seater lounge and matching armchair. Bought less than a year ago for $2600. Must sell ASAP due to move. No marks or tears. Still looks and feels new. A steal at this price but can't take it with me..
Furniture for sale Australia ads Australia, Furniture for sale classifieds Australia, Furniture for sale free ads Australia, ads for sale Australia, ads to buy Australia, FREEADSAustralia Page number 7-1. Find here ads for sale, to buy and rent in Australia. Goods for sale in Australia, vehicles for sale in Australia, Australia real estate for sale, Australia property for sale, property for rent in Australia, business ads in Australia, Australia business classifieds, services in Australia, Australia services ads, jobs in Australia, pets for sale in Australia, Australia dating, Australia cars for sale.